You can export tasks, projects, clients and tags. Each one of them either continually or just once. 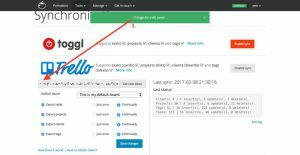 “Continually” means that any future changes of any item (task, client, …) will be updated in Trello as well. “Just once” option only creates the item, without any future updates. Tasks are exported in the form of a card. 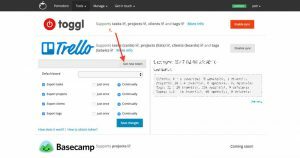 The closed status on Trello is linked with the trashed status on Tasklog. Projects are exported as lists. If the boards (clients) export is not enabled, all of your project (lists) will be created in your default board. Each client is equal to one board. board relation (usually multiple boards). 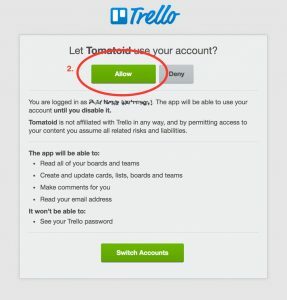 First, log in to your Trello account. 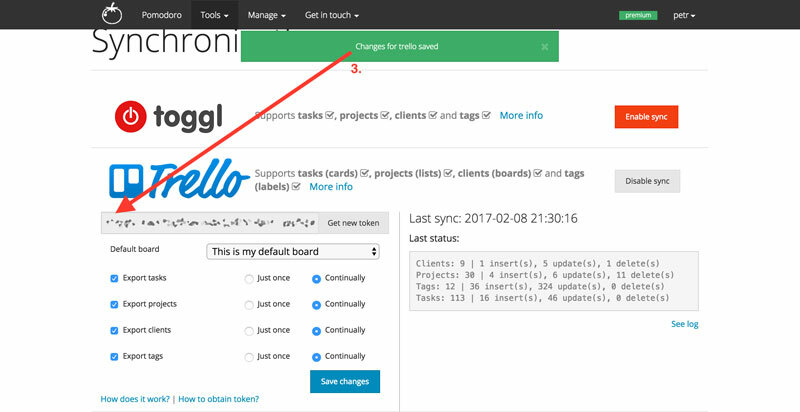 Navigate to Tasklog sync settings and click on the “Get new token” button (figure 1). You will be asked to let Tasklog use your account (figure 2), so choose allow. 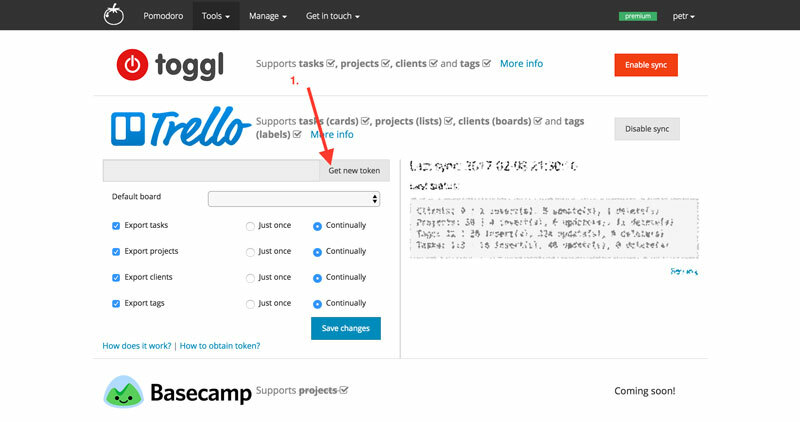 You will be redirected back to Tasklog and the Token should now be filled in (figure 3). Don’t forget to select default board (select box right under the token). Tasklog will never interfere with data not created on Tasklog website. 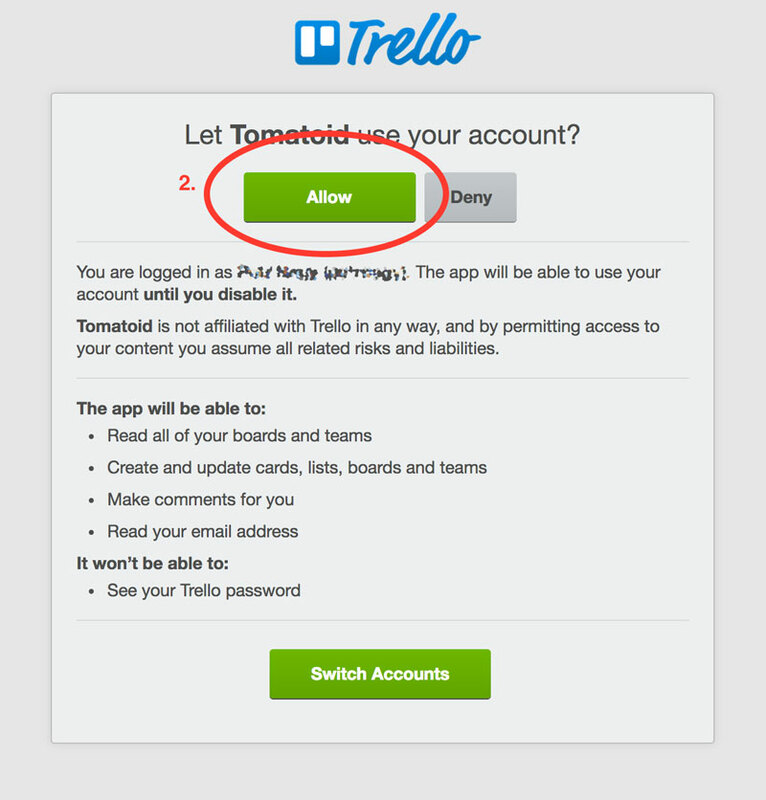 That means none of your current and future data created in Trello will be ever touched by the sync. Tasklog can, however, close exported boards (clients) or lists (projects), thus hiding lists/cards created manually under them. Do you see your generate API Token? Have you selected your default board? Does this board really exists in Trello? Is it closed?